"Gold Star gets no complaints from me. It is the best place to get a loan and the staff are wonderful. " Texarkana USA..."Where Life Is So Large It Takes Two States" Texarkana USA is really two cities located in the northeast corner of Texas and the southwest corner of Arkansas! While here, you’ll see why Texarkana is “Twice as Nice!” There are two of almost everything: two city mayors, two city governments, two police departments, and two fire departments. All of this, however, makes up one outstanding community! Of course, the Texarkana of today is so much more: a thriving metro-center serving nineteen counties in four states. Its diversified economy is supported by manufacturing, agriculture, medicine, transportation, education and retail. Residents and visitors alike enjoy the moderate climate and a variety of recreational and entertainment activities. A visit to Texarkana, USA reveals a host of historic treasures: annual festivals, entertainment from performing arts, professional baseball, stock car races, art exhibits, shopping, great outdoors and sports, wonderful restaurants and a citizenry proud to call Texarkana home! 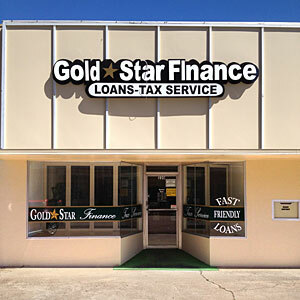 Gold Star Finance is proud to be a part of the Texarkana community, proving short term consumer loans within the Texarkana TX area. Stop by location the 200 block of Main Street so we can get to know you better. You will always be treated with courtesy and respect.